Tiffani Von Alvensleben (b. Sept. 30, 1967) is an accomplished real estate and interior design professional living and working in Northern California. She possesses more than 30 years combined experience in the fields of sales, business and real estate. In 2001, Tiffani Von Alvensleben co-founded TKL Home Design LLC in Morgan Hill, CA and in 2010 she co-founded and is currently the Chief Executive Officer of Von Vesting, Inc., a redevelopment operations company. Present responsibilities assigned to Tiffani Von Alvensleben include researching properties and raising investor capital as well as directing the corporation. Tiffani Von Alvensleben has earned a positive reputation as a veteran distressed property “flipper” happy to share her expertise with those less experienced in the field. Based in Rocklin, California, her companies focus on acquiring real estate at low wholesale prices, improving and reselling them on the open market. Tiffani Von brings proven leadership to her companies by researching real estate trends and acquiring new properties for rehabilitation and resale in Northern California. Her work is directly focused upon raising investor capital. In addition, Tiffani Von Alvensleben serves as a General Partner of the American Redevelopment Fund, LP and is the founder of Madison Holdings, Inc. a property management company. Raised in Northern California, Tiffani Von attended Saratoga High School in Los Gatos, graduating in 1991. Besides her interests in property development and interior design, she also enjoys singing and designing houses for her relatives and friends. Tiffani Von Alvensleben also actively supports local education and provides charitable support to the Del Oro High School baseball and football teams. Tiffani Von Alvensleben currently resides in Loomis, California with her husband and business partner, Rich, with whom she often embarks on outdoor getaways exploring the natural environments of California and Nevada. Tiffani Von Alvensleben has been involved in the real estate industry since 1987, when she achieved the position of Property Manager for Fritz Groupe in Foster City, California. Although she was still in her teens at the time, Tiffani Von earned recognition as the company’s top performing leasing agent in her first year. Tiffani Von Alvensleben recalls that this early stage in her career was challenging. With only a high school education to start, she realized early on that she would have to create her own goals and opportunities in order to succeed. She had never been taught how to establish personal goals for herself, recalls Tiffani Von Alvensleben, but obtaining the discipline required of a self-employed professional eventually produced the results she desired. 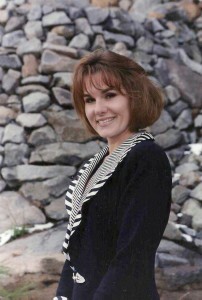 In 1992, with her husband Rich she co-founded World Concepts LLC, a sales and marketing company based in Morgan Hill where she gained extensive sales and marketing experience over her 13-year tenure. Highly successful in her endeavors, Tiffani Von helped create $100 million in sales for World Concepts, LLC in 2005. Prior to co-founding Von Vesting, Inc., Tiffani Von Alvensleben served as an Associate for El Dorado Holdings, based in Granite Bay, California. In this capacity, she worked to ensure that all transactions undertaken by the company yielded a profit. Tiffani Von Alvensleben served with El Dorado Holdings from 2002 to 2010. As an experienced member of the real estate holding company’s team, she actively ensured that the transactions spearheaded by the company were profitable. With a focus on acquiring potentially lucrative properties, Tiffani Von held purchase-decision responsibility at Eldorado Holdings where she gained extensive experience in property research, vetting for liens, clean title and measuring benefits versus drawbacks. With Tiffani Von Alvensleben in a leadership role, Von Vesting has been a remarkable success. The company’s lowest return to investors was in 2002 when it returned 12 percent; their best return, in 2008, was an extraordinary 54 percent. The company’s performance can be credited to Rich and Tiffani Von Alvensleben and partner Kale Flagg’s proven instincts and experience in acquiring distressed properties and REO’s from lending institutions at highly discounted prices. Tiffani Von has a deep knowledge of her area and has been able to leverage that expertise into sound business decisions for both Von Vesting and their clients. As Tiffani Von Alvensleben points out, rehabilitating and turning over distressed properties is not only good for investors but also good for entire neighborhoods as it supports area property values.